Bender and Fry battle it out in a kitchen nightmare of their own making to determine who will be top chef at Planet Express, but they'll be forced to make the meal of their lives when some unwelcomed dinner guests come to call! Also, Zapp Brannigan and Kif go on a blind date! 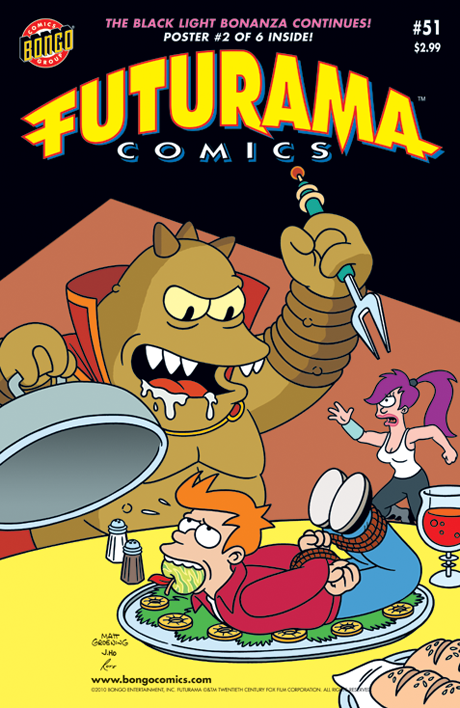 Plus, this issue features the second of six awesome Futurama posters, suitable for unfolding.